The Real "War on Christmas"
The so-called "War on Christmas." which President Trump claims to be successfully fighting off, is largely a product of the fevered imagination of those who believe Christianity is being persecuted in this country. There are in fact threats to true religious freedom in our society, but what particular festive greeting is used in stores is of no ultimate concern to Christian faith but is relevant rather to the competing religion of commercial capitalism. There are, of course, at least three different Christmases being celebrated this holiday season. There is the religious Christian Christmas, which begins on December 25 and continues through Epiphany. There is the familial Christmas, which may be for many what is most appealing and which, while rooted in both Christian and pagan folkloric customs, requires no real religious commitment from its participants. And then there is the greedy, capitalist, commercial Christmas, which seems to go on forever until Christmas itself. The prominence of that third Christmas is the holiday sun whose brightness gets reflected in the religious and familial festivities. Indeed, without the commercial holiday, the Christian Christmas would risk becoming just another little noted religious holiday - like All Saints Day. But the omnipresence of the commercial Christmas and the universal appeal of the familial Christmas seem to have left little energy for the Christian Christmas, which has increasingly become the victim of our own minimalism. So not only is church attendance on Christmas declining, but the celebration of the rest of the Christian Christmas season is increasingly minimal at most. True the Octave Day of Christmas is theoretically still a holy day - at least when and where it actually still is (not, for example, in the United States in 2018). As for the Epiphany - the oldest of all the Christmas festivals, older even that Christmas Day itself - how many Christmas Trees are still standing in how many homes on January 6 (or whatever day Epiphany happens to get shunted off to in the United States)? The bare Christmas Tree outside our church is a sad sight. Sadder still is the increasing bareness of the Christian religious Christmas, so seemingly weak in competition with its glittering rivals. 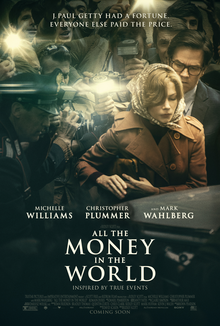 The evil which wealth does and its moral danger to its owners are all blatantly on display in the movie All the Money in the World, based on John Pearson's 1995 aptly named book Painfully Rich: The Outrageous Fortunes and Misfortunes of the Heirs of J. Paul Getty. (Actually, I think Painfully Rich would have made an even better title for the film, although All the Money in the World certainly makes the same suggestion. Better yet, with its alliteration, I prefer my own title Wretchedly Rich) The film tells the story of fantastically wealthy J. Paul Getty's reluctance to respond to the ransom demands of a group of Mafia kidnappers who abducted his grandson John Paul Getty III in Rome in 1973 (and eventually famously cut off his ear). For those of us who remember that time and that incident, the movie may bring back other recollections of other violent events that likewise characterized that particularly troubled period. On screen, however, the violence of that time, while starkly present, recedes somewhat, and allows the film to focus on the terrible human tragedy that was the life and legacy of one famously greedy man and the harm his greed inflicted on others. Especially in this holiday season, when out culture revels in its acquisitiveness and greed, the lesson is even more especially poignant. The fact that we know the outcome in advance may disappoint those seeking more crime-thriller suspense. Still It is a really great movie, starring Christopher Plummer as J. Paul Getty, Michelle Williams as his daughter-in-law Gail Harris, Charlie Plummer as John Paul Getty III, Getty's unfortunate grandson, and Mark Wahlberg as Fletcher Chase, a former CIA operative in Getty's employ who becomes Gail's adviser in assisting her to recover her son. So begins the familiar carol, which we all know and which I for one happen to love. Since the legendary event on which the carol is based is supposed to have taken place today, on the Second Day of Christmas, the feast of Saint Stephen, the First Martyr, this seems as good an occasion as any to reflect a bit on that legend's lofty message about the role and responsibilities of a righteous ruler and the community he leads and about its model of inclusiveness that seems increasingly to elude our contemporary society. Saint Wenceslas (907–935) was Duke Wenceslas (Vaclav) of Bohemia, who after his martyrdom by his brother of Boleslaus (Boleslav) the Cruel, was widely acclaimed as a model of the medieval image of the just ruler, whose piety was expressed in his leadership of society. Although the actual Wenceslas was a Duke, not a King, Holy Roman Emperor Otto I (912-973) posthumously promoted him to rank of king, hence his title in the legend and the carol. While Wenceslas and the legend of his Saint Stephen's Day service were medieval, the carol itself is modern - composed by English hymn writer John Mason Neale in 1853 and set to the tune of a 13th-century spring carol Tempus adest floridum ("The time is near for flowering"). In five 8-line stanzas, Neale's carol retells a story of Wenceslas and his page going braving the harsh winter weather to assist a poor peasant on December 26. Although it takes the form of a cheery Christmas carol, its message is a serious one. (Therefore, Christian men, be sure, wealth or rank possessing.) As such, it is thus also a challenge - as reflected in the page's difficulty in carrying on, a difficulty only overcome by literally following in the saint's footprints. As the Rite for the Coronation of a King in the pre-1969 Pontificale Romnanum and analogous texts made abundantly clear, much was expected of a just ruler. While the historical Wenceslas attained eternal glory by his martyrdom, the legend refers not to that but to his identification with and commitment to the poor as part of his righteous rule. Christmas, the annual commemoration of the historical event of the birth of Christ, has become both our primary cultural celebration of capitalist acquisitiveness and greed and (somewhat more benignly) a family festival of domestic feeling. Above and beyond all of that, however, the true meaning of Christmas is not some nostalgic holiday pageant, for the baby whose birth we celebrate is not just some distantly ancient historical figure, but God-with-us, who challenges us to recognize and receive him in the here and now, in one another, and above all in the poor and the marginalized. The challenge to identify with the poor and the marginalized and to make their inclusion a social and political priority is highlighted in the legend of King Wenceslaus as a responsibility laid upon all in society - from the ruler who has to set the good example, to the ordinary citizen (signified by the page). The medieval Church set a very high moral standard for the just ruler, conscious of how challenging and difficult that standard is. In contrast, our recent history has only highlighted the abandonment, on the part of too many who consider themselves Christians, of the traditional aspiration to seek and accomplish justice and inclusion through political governance and social policy. And so indeed it does! Even in this divisive time when it is so hard to get people to agree on anything, I think we might all agree with Gregory about that! On the other hand, Christmas has been going on, all around us, for weeks now. Some people perhaps are tired of it already! What is there that is new to say after weeks of Christmas carols and cards and shopping? And anyway what is there that is new to say some 2000+ years after the fact that we call “the 1st Christmas”? The Christmas story, as Saint Luke tells it, the same familiar story that we have heard over and over again all our lives, begins by announcing who the Emperor was and what was going on in the world at the time. Luke wants us to understand that the story he is telling really happened as part of the history of the world. Jesus was really born. God’s Son became Mary’s Son, a human being like us. What if in fact it had never happened? Well, for one thing, we wouldn’t be here tonight! Certainly we wouldn’t be celebrating Christmas! And we wouldn’t be here either, because this beautiful church that has graced this hilltop now for 131 years would never have been built! And, whatever year this would be, it wouldn’t be 2017 – A.D. 2017, Anno Domini 2017, the year of the Lord 2017. Some try to avoid acknowledging that and use other terminology to obscure the meaning of the calendar, but nothing can change the number and its meaning. What happened that 1st Christmas was so fundamentally important that, even now, we still calculate our calendar and date our years from it. But instead, because of Christmas, we have an alternative to despair! Hence the angel’s reassuring words to the shepherds: Do not be afraid! We heard those same words just yesterday, spoken by the angel Gabriel to Mary and later to Joseph. We will hear them again at Easter, from the mouth of the Risen Lord himself, the same Risen Lord whom we encounter whenever we celebrate the Eucharist. Of course, all those people – Mary, Joseph, the shepherds, the disciples at Easter – all really were afraid, and for some very good reasons. And for all our holiday cheer, so perhaps are we as well, as we come with anxieties we may be reluctant to name or even acknowledge, buffeted by bad news of all sorts, to the end of another very difficult and challenging year of political and social setbacks, economic and personal struggles, and apocalyptic natural disasters that warn of even worse to come. We watch Frank Capra’s great 1946 Christmas classic It’s a Wonderful life, and can hardly help noticing its terribly tragic portrayal of a world in desperate need of heavenly help - America as Potterville, where the rich get richer and the poor poorer. Not for nothing do we pray every day at Mass that we may be safe from all distress, as we await the blessed hope and the coming of our Savior, Jesus Christ. The world’s distress is real enough, as is our anxiety about it, but so is the hope we celebrate tonight - the blessed hope and the coming of our Savior, Jesus Christ. Too many of those who call themselves Christians today seem trapped by fear. But such fear is the opposite of the faith, the hope, and the love that Christ’s coming into our world has made possible for us. Christmas comes because God comes. At Christmas, God showed up in our world – in an out-of-the-way place amid the poverty and political persecution that are still so often experienced by refugees and immigrants, here and now even in our own society, as we are regularly reminded whenever we turn on the news. At the time, only some shepherds took any notice. But tonight we are there too. Back when I was a little boy, in the early days of television, my family would watch a weekly program called You Are There, which aired from 1953 to 1957. Each show was a dramatic recreation of some event in history, with modern-day reporters covering the event and interviewing the historical characters. At the end of each episode. Walter Cronkite would conclude: "What sort of day was it? A day like all days, filled with those events that alter and illuminate our times... all things are as they were then, and you were there." We are there tonight with those same shepherds – not by some fantasy of technology but by the miracle of God’s coming – because at Christmas God didn’t just show up, he stayed. He stays with us, here and now, here in his Church! His showing up and staying with us is what enables us, his Church, to show up and stay in our world today, to continue what he started, without fear, this year, and every year. We celebrate tonight what we profess every Sunday: that the Only begotten Son of God … for us and for our salvation came down from heaven, and by the Holy Spirit was incarnate of the Virgin Mary and became man. This is the Christmas story. Tonight, we kneel when we say those words, to highlight the fact and solemnize what we celebrate, but we say those words all year round. The Christmas story is the Christian story – our story – all year round. It’s the story of God showing up and staying with us – to free us from fear, once and for all. And so, every time we come up this hill to hear this story of God-with-us, we must be willing for it to become our story too, challenging us, as we go back down the hill, to be remade by it ourselves and so to reimagine our world – and so transform our frustration into fulfillment, our sadness into joy, our hatred into love, our loneliness into community, our rivals and competitors into brothers and sisters, and our inevitable death into eternal life. Homily for Christmas Day (The Mass at Midnight) Immaculate Conception Church, Knoxville, TN, December 25, 2017. At Advent's End - Hail Mary! Few New Testament stories are more familiar than the one we just heard on this final day of Advent. Certainly, the Annunciation is one of the most portrayed scenes in the history of western art, and that tells you something right there! And, of course, every time we pray the Angelus or just recite the Hail Mary, we recall the Annunciation. In a famous, if somewhat imaginative, homily on the Annunciation, the great 12th-century Cistercian Abbot and Doctor of the Church, Saint Bernard of Clairvaux (1090-1153) imagined Mary pondering how to respond to the angel and advised her on behalf of the whole human race: Tearful Adam with his sorrowing family begs this of you, O loving Virgin, in their exile from Paradise. … This is what the whole earth waits for, prostrate at your feet … for on your word depends comfort for the wretches, ransom for the captive, freedom for the condemned, indeed, salvation for all the children of Adam ... Believe, Bernard continued, give praise, and receive. … Open your heart to faith, O blessed Virgin, your lips to praise, your womb to the Creator. See the desired of all nations is at your door, knocking to enter. … Arise in faith, hasten in devotion, open in praise and thanksgiving. Bernard’s style was fanciful, of course, coming from an era that was much more imaginative than our modern rationalistic and technocratic time. Still it expresses something very important about the story. God really is ready to come to us. He is ready and willing to save us from ourselves. But we have to get on board with God’s plan and be willing to be saved. Hence the close connection between Mary’s response and that of each one of us over the course of one’s entire life. Today we have arrived at Advent’s end. Advent is not a play. We haven’t been pretending that Jesus hasn’t been born yet and waiting to be somehow surprised on Christmas morning, as if Jesus were Santa Claus. Christmas isn’t a play either. Of course, Christmas commemorates something very important that happened a long time ago, an event we remember each year with great joy and gratitude to God, not to mention cards and gifts and dinners and parties! But, if we just confine the Christmas story to something that happened a long time ago, then we will have missed the point of Christmas entirely. Christmas challenges each one of us here and now to respond - as Mary did - to bring the world back to life again by bringing Christ to the world and the world to Christ. As Pope Francis has written: Mary let herself be guided by the Holy Spirit on a journey of faith toward a destiny of service and fruitfulness. Today we look to her and ask her to help us to proclaim the message of salvation to all and to enable new disciples to become evangelizers in turn [Evangelii Gaufium, 287]. Homily for the 4th Sunday of Advent, Immaculate Conception Church, Knoxville, TN, December 24, 2027. 2017 has been filled cinematically with Winston Churchill and World War II. This year has given us Their Finest, Churchill, and, of course, Dunirk. The first depicted a crew working together in 1940 on a propaganda film about the evacuation of Allied troops from Dunkirk, the event so dramatically portrayed in the third film. Winston Churchill (Prime Minister of the United Kingdom from May 10, 1940 through July 27, 1945) was in the background of those other films but was at the center of the film which bears his name and which focused on the run-up to D-Day in 1944. Churchill is again at the center of this latest film, a much better one, which focuses primarily on Churchill's accession to the Prime Ministership and the first month of his term. Gary Oldman stars splendidly as Churchill. as do Kristin Scott Thomas as his wife Clementine, and Ben Mendelsohn as King George VI. One problem with such films, of course is that the story is so well known (or, at least ought to be) that it is always a challenge to spin it in some novel way which compensates for our knowing everything that is going to happen. Even knowing what is going to happen, however, we are still enthralled by Oldman's bravura performance as Churchill. The film faithfully captures the intense opposition to Churchill from the British Tory Establishment, led by Neville Chamberlain and Viscount Halifax. Although the movie alludes to the fact only subtly (by showing him as a spectator in the Strangers' Gallery - and never on the floor - of the Commons chamber), the fact that Halifax sat in the other House may ultimately have been what saved Britain and the world from the catastrophe that would have been his premiership. Even so, it was touch-and-go for Churchill, and the film focuses rather relentlessly on that tension, both the external opposition and the internal struggle it evoked. It even incorporates a "populist" touch in the contrast it portrays between the patriotic populace and the appeasement-oriented Establishment. Churchill had a lot to overcome to attain the Prime Ministership - including the memory of his role as a would-be supporter of King Edward VIII during the Abdication Crisis. The process by which King George comes around to accept and support Churchill despite that memory is one of the subplots that enriches the arc of the overall story. Why are we still so fascinated by Churchill and World War II so many decades later? The "Greatest Generation" that actually remembers the war is dying off. The Boomers, like myself, grew up on a steady diet of war stories and so have a certain nostalgia for a time that we all were taught to appreciate as of absolutely decisive importance for civilization as we know it. Beyond that, I think we all crave something of the moral clarity that that conflict has come to represent (in retrospect). We envy the sense of common purpose the war produced in both Britain and (eventually) the U.S. - in contrast to our contemporary lack of anything remotely resembling that. And we remain fascinated by the heroic figures who towered over that time - Churchill, Roosevelt, DeGaulle - and cannot help but compare them with the political pygmies later generations have sadly produced. 160 years ago today, Servant of God Isaac Hecker (the future founder of the Paulist Fathers) had an audience - his first - with Blessed Pope Pius IX. A Redemptorist priest from the far-away and predominantly Protestant United States (and a convert himself), Hecker had run afoul of his religious superiors and been expelled from his community. Courageously appealing against that action to the highest authority in the Church, Hecker sought not only to clear his name but also to share his surprisingly confident beliefs about Catholicism’s prospects in America and American society’s potential receptivity to Catholicism. Hecker’s confidence about Catholicism’s prospects in America and American society’s potential receptivity to Catholicism animated his life-long mission. In one of his last Catholic World articles, published in the year he died, Hecker quoted an anonymous acquaintance, who said “he didn’t care for union of church and state if he could have union of church and people.” [“The Mission of Leo XIII,” Catholic World, 48, 1888] Such comments convey how important the religious transformation of society and culture was for Hecker, and how he confidently expected this to accomplish what others looked for in politics. Like the 19th-century’s most famous observer and analyst of Jacksonian American society and institutions, the French nobleman Alexis de Tocqueville (1805-1859), Hecker appreciated the problem posed by the fundamentally fragmented character of American society with its fragile connections between individuals, and the dilemma of how to create a community capable of uniting individuals consistent with their freedom. In 19th-century Europe, the Church was struggling to survive as an institution against an increasingly liberal political order. It sought to counteract the social fragmentation associated with liberalism and to reconnect increasingly isolated individuals into a community by preserving, repairing, or restoring religious bonds. The way to do this was to assert the Church’s traditional claims to authority as vigorously as possible and to insist upon its political privileges and institutional rights in relation to the state. In contrast to that time-honored political approach, Hecker saw a social solution in which Americans, converted to Catholicism as the answer to their deepest human aspirations and thus opened up to the outpouring of the Holy Spirit in their lives, would be empowered, to combine true religion and democratic political institutions. What to make of Hecker's astonishingly hopeful prediction 160 years later? Karl Marx being but the most infamous example, 19th-century thinkers tended to extrapolate from their contemporary experience and make predictions based on that. Hecker had faith, obviously, in the truth of Catholicism and in its unique ability to respond to Questions of the Soul and The Aspirations of Nature (the titles of his two apologetical books composed in the 1850s). Based on his empirical experience of New England Protestantism, he also confidently concluded that American Protestantism was inevitably doomed to disappear. However, Hecker’s understanding of Protestantism was largely derived from his early experience with the Transcendentalists. He had assimilated Transcendentalist stereotypes about Calvinism but seems to have had little or no direct familiarity with classical Calvinism or with the writings of Calvin himself. 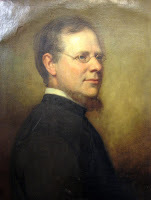 More to the point, as even so sympathetic an account as that of Paulist Father James McVann acknowledged, Hecker’s “facts and figures mostly took account of a decline in Eastern Massachusetts, without considering the strong roots of Protestantism in other parts of America, which his travels South and West should have shown him.” [The Paulists (unpublished), p. 144.]. A century and a half later, however, the northern “Mainline Protestantism,” with which Hecker was familiar, does in fact appear to be in serious, perhaps terminal, decline in the United States. And the principle of private judgment and lack of doctrinal authority that Hecker lamented in the American Protestantism of his time can certainly be blamed for much of this. While Hecker’s limited understanding of American Protestantism dramatically failed to appreciate its capacity to revitalize itself precisely at its own evangelical roots, it is also seems to be the case that the Catholic philosophical and theological tradition increasingly seems to be the resource most able to provide a cultural and political framework in response to the contemporary challenges of post-modern secularism. Whether, in this less fully institutionalized form, the oil of Catholic truth can calm the troubled waters of American life, however, still remains very much open to question, given the changing character of those troubled waters. The political polarization (about slavery) in Hecker's 1850s and 1860s led to a full-scale sectional civil War. On TV recently, journalist Carl Bernstein referred to our contemporary political polarization as a "cold civil war." Six months ago, however, David French suggested that what we are experiencing is more like "a national divorce" than a civil war. In support of this he cites two trends - "negative polarization" and "matching." The former reflects the fact that today "Americans belong to their political 'tribe' not so much because they love its ideas but rather because they despise their opponents." The latter refers to the way we "increasingly live separate lives - living in separate locations, enjoying separate media, and holding separate religious beliefs." The viability of Hecker's vision - whether and how "the Catholic truth, which, if once known would come between these two parties and act like oil on troubled waters” - is thus a vital question for our troubled time, whether we call it a "cold civil war" or a national "divorce," and a question I hope to consider further in the new year. At 11:28 a.m. today, the sun stops its southward journey at its maximum distance from the equator - a stop known as the winter solstice, which results (here in the northern hemisphere) in the annual period of the shortest amount of daylight and the longest length of night. As the accompanying image for the Old Farmer's Almanac illustrates, it is a unique moment best appreciated in stillness and silence, which (not coincidentally) is how Advent was intended to be observed before it became just another adjunct to Christmas. 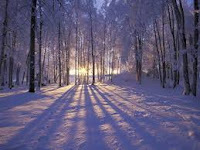 In our post-natural world, in which electricity has made us relatively insensitive to the seasonal fluctuations in natural light and our climate-controlled homes and workplaces have made us comparably indifferent to the seasonal changes in temperature, it takes effort to appreciate the solstice (or indeed any natural phenomenon). That said, the solstice seems to be an especially apt occasion to contemplate the world God gave us and to compare it with the the alternative non-natural world which we have substituted for it. Assuming that the world doesn't end beforehand, the Republican Tax Cut Bill will almost certainly pass Congress today. It will likely be signed by the President later this week and then begin doing harm to our country on January 1. All tax cuts represent a semblance of private theft from the public good. This one is particularly egregious, since the beneficiaries are among society's least deserving (corporations) and its utterly undeserving (the rich). The coincidence of the tax cut with Christmas is a salutary reminder of the compelling power of acquisitiveness and greed in our society. 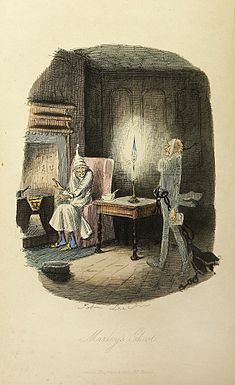 Yesterday (December 19) marked the anniversary of the publication in 1843 of Charles Dickens' A Christmas Carol, a book that probably has done more good for Christmas and for the human condition than almost any other. It merits re-reading every Christmas, but perhaps especially this year when our dysfunctional politics is reminding us that Scrooge and Marley are still very successfully in business. That said, no one in today's America can be unaware of Fox and the distorted world-view it presents to apparently an awful lot of people. So it was with great interest that I recently read Amy Sullivan's recent NY Times Sunday Review article, "America's New Religion: Fox Evangelicalism"
Sullivan's premise is that journalists and scholars. who "have spent decades examining the influence of conservative religion on American politics," have "missed the impact conservative politics was having on religion itself." I don't think that is completely correct. I think people have been commenting on this for some time now. Even observed quite some time ago that once consequence of conservative Christians opting to consider conservative politicians as allies on some controverted moral and cultural issues was that they then tended to start agreeing with what those conservative politicians were advocating on social and economic issues as well. Be that as it may, Sullivan is certainly onto something very significant about the changing landscape of American religion. Sullivan's contention is that there is an "emerging religious worldview," which she calls "Fox evangelicalism," which is "preached" - and presumably internalized by its hearers - "from the pulpits of conservative media outlets like Fox news." As one immediately relevant example, Sullivan cites the so-called "War on Christmas." She notes that previous presidents also said "Merry Christmas," that Obama's and Trump's Christmas-tree lighting messages were "virtually indistinguishable," and that the conservative opposition to the supposed "War on Christmas" has little to do with the earlier, religiously motivated "anti-consumption, anti-Santa" movement reflected in the original "Reason for the Season" slogan. Sullivan sees all this as part of a larger picture in which, on the one hand, the word "evangelical" increasingly "functions as a cultural label, unmoored from theological meaning," while in the meantime "conservative media" has increasingly defined how "a whole generation of churchgoing evangelicals thinks about God and faith." Sullivan cites an Oklahoma pastor and popular evangelical writer, Jonathan Martin, who notes that, while a pastor gets "about 30 to 40 minutes each week to teach about Scripture," his congregation may be "exposed to Fox news potentially three to four hours a day." Martin also notes that, whereas someone like Jerry Falwell, Sr., at least cared to try to ground his beliefs in Scripture, "Now the bible's increasingly irrelevant. It's just 'us versus them'." What results "is a malleable religious identity that can be weaponized" to support "virtually any policy, so long as it is promoted by someone Fox evangelicals consider on their side of the culture war." It seems to me that this transformation of Christian believers into a political interest group for causes unrelated to or actually antithetical to Christian faith can in the long term only lead to the weakening - or even disappearance - of authentic Christian faith in the American public square, as it increasingly cedes the moral high ground on social and economic to a militantly secularist faith that really is opposed to Christian moral and cultural claims. From this, no good outcome can be expected. (Amy Sullivan's article appeared on-line on December 15 and in print on December 17 in the Sunday Review section with the headline "A Very Merry War on Christmas." The familiar title for this Sunday is Gaudete, a Latin imperative plural, commanding us to rejoice. In the Missal, today’s Mass begins with the words: Gaudete in Domino semper (“Rejoice in the Lord always”), from Saint Paul’s letter to the Philippians. Hence, the rose vestments (in place of penitential purple) and today’s generally cheery tone. Today’s 2nd reading - from St. Paul’s 1st letter to the Thessalonians – also commands us: Rejoice always. … In all circumstances give thanks. Christmas is, for most people, the cheeriest time of the year, and presumably most people are in a holiday mood, in spite of all that may have happened this past year and the increasing gloom that understandably seems to be enveloping our world. Of course, Christmas wasn’t celebrated in the first three centuries of Christian history. Saint Paul wasn’t sending the Thessalonians a Christmas card. Thought to be the earliest New Testament letter, Paul’s letter was written to encourage them and strengthen their faith, despite difficult circumstances. The command to rejoice, therefore, was not some sentimental slogan or holiday greeting, but was for Paul the consequence of faith in Christ. In all circumstances, he says, give thanks, for this is the will of God for you in Christ Jesus. Now, if Paul is right about rejoicing and thanksgiving being the consequences of our faith in Christ, then what other response on our part could possibly proclaim Christ and his Church – even in our conflicted, anxiety-ridden world, a world which, without Christ, presents precious little reason for either rejoicing or thanksgiving? So absent has Christ become from so much of modern and post-modern life that even the annual celebration of his birth has become, for some, increasingly a season of stress and sadness! Christmas calls attention to the contradictions in our lives, and highlights how hard it can be to internalize the faith we profess, how challenging it can be to live joyful and thankful lives in the world in which we actually find ourselves. Christmas commits us to that world, a world where other people make demands on us, and duty challenges us to care about things bigger than just ourselves. Joy, of course, is one the fruits of the Holy Spirit. How many here went to Catholic school? Or RCIA? So I can assume you all learned and remember the fruits of the Holy Spirit, which Saint Paul first enumerated. They include love, joy, peace, patience, kindness, goodness, faithfulness, gentleness, self-control [Galatians 5:22-23]. So the rejoicing to which Paul refers is not the transient happiness that depends on mere feelings and comes and goes with shifting circumstances. It is, rather, a consequence of the experience of God’s presence and action regardless of circumstances – in good times and in bad. Hence, Saint Paul’s injunction to test everything, for he well knew that not every happy feeling comes from the Holy Spirit, but only what actually leads us to recognize Christ and to act upon that recognition. It was for a similar reason – to test whether or not John the Baptist was the real thing – that priests and Levites and Pharisees were sent to John from Jerusalem. John responded, first, by clarifying the scope of his activity – or, as we might say, defining his mission – situating it not in reference to himself, but in relation to Christ. Then, he challenged his hearers – as, through them, we ourselves are challenged today – to recognize Christ in our world in the here and now, and to act upon that recognition by situating our lives in relation to him. That is why we celebrate Christmas when the nights are long and the sky is dark, when it is challenge to recognize the light, while we hang lights on evergreen trees to testify to the light against the darkness. It takes more than a Christmas Tree to make Christmas, however. Rather it requires us to become Christmas Trees ourselves, to testify to the light with rejoicing and thanksgiving – so that the whole world will recognize the light of Christ present and active in his Church, and so see his face, and hear his word, and be embraced by his love. Homily for the 3rd Sunday of Advent (Gaudete Sunday), Immaculate Conception Church, Knoxville, TN, December 17, 2017. Tomorrow is the 3rd Sunday of Advent, commonly called Gaudete Sunday. Advent originated as a penitential season, modeled somewhat on Lent. It was often called St. Martin’s Lent, because a 40-day Advent fast began on the day after the feast of St. Martin (November 11). By the 9th century Advent had been reduced to four weeks in most of the Latin Church (except for the Milanese Ambrosian Rite, which still has six weeks of Advent), and by the 12th century the fast was gone. Until the 20th century, however, Advent still preserved many of the liturgical characteristics of a penitential season. Thus, on the middle (Gaudete) Sunday of Advent, as on the middle (Laetare) Sunday of Lent, the organ and flowers, forbidden during the rest of the season, were permitted, and rose-colored vestments were allowed instead of penitential purple. Coming midway through a season traditionally penitential in character and focused on Christ’s final coming at the end of the world, Gaudete Sunday highlights the nearness of the Lord's coming and the joyful hope that should characterize our expectation. Although Advent has lost its traditional penitential character in recent decades, today’s rose-colored vestments, remind us of Advent’s serious side, even as they continue to invite us to rejoice in Christ’s presence and action in our world. The great 20th-century liturgical writer Pius Parsch advised those "who love the liturgy" to "celebrate such extraordinary days in a special manner and make the most of their distinguishing features." The Republican Party's blueprint for a post moral society suffered a significant setback in Alabama this week. How significant a setback still remains to be seen, however. 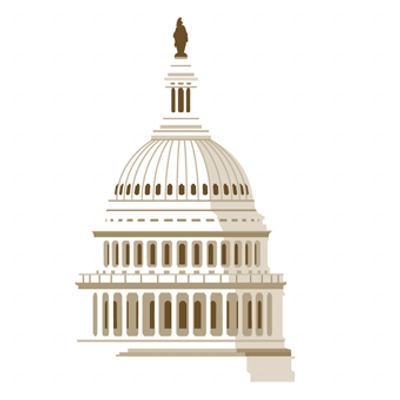 Its terribly regressive tax cut bill will likely still pass in some form, for example. But perhaps Paul Ryan's plan to follow giving more money to the rich this year with taking more from the poor in 2018 will now be marginally harder to accomplish with such a fragile majority in the Senate. Perhaps. Analyzing election results can be tricky. But apparently Alabama's new senator won thanks largely to high turnout among black voters and diminished enthusiasm for Moore among white suburbanites. Analysts all remember how lower black turnout when Obama was not on the ballot adversely affected Democratic party prospects in midterm election results during Obama’s presidency — as well as contributing significantly to Hillary Clinton’s defeat last year. But yesterday was different, and the African-American vote in Alabama matched that of the Obama years 2008 and 2012. While that augurs well for Democrats, it remains the case, for example, that next year Democrats will have to defend more Senate seats than the Republicans will, and winning control of the Senate and the gerrymandered House, while possible, remain real challenges. That said, Tuesday's biggest loser would seem to have been the Republican Party. The civil war within the Republican Party can only get worse, as its warring factions fight each other over a diminishing slice of the electorate. If there is any consistent lesson to be taken from this and the earlier election in Virginia, it is that - except at the presidential level - bad candidates (which the Republicans seem to do better at producing) fare worse than good candidates overall, and that the part of the electorate which looks more like America's future (minorities and younger voters) is clearly motivated to vote against Republicans. One commentator somewhere (I don't remember who it was) noted that the fact that an Alabama Republican candidate lost voters under 45 by more than 20 points suggests that the kind of "conservatism" we have become familiar with in recent decades may be en route to extinction. Another big loser, of course, is the "religious right," the self-described "values voters," whose putative "evangelical" fervor's rootedness in real religion (as opposed to pure politics) has always been somewhat suspect and whose "evangelical" religion is now increasingly unmasked as rooted largely in a kind of white, ethno-cultural, political tribalism. Today the Church commemorates Saint Lucy (283-304), martyr in Syracuse, Sicily, and patroness of winter light-festivals. By sheer coincidence, this is also the first full day of Chanukah, which was probably the first Jewish holiday of which I was aware as a child. In the fall of 1953, I started in our local public school, P.S. 91. We learned manners and how to behave respectfully towards our elders and those in authority, had regular fire drills, and had monthly birthday parties. And in December we "lit" chalk Channukah candles on the blackboard. A historically minor holiday, Chanukah is the Jewish eight-day, wintertime “festival of lights,” celebrated with nightly menorah lighting and eating fried food. The Hebrew word Chanukah means “dedication,” and is thus named because it celebrates the rededication of the Jerusalem Temple on the 25th of the month of Kislev in the year 164 BC after its desecration by the Gentiles. Chanukah was the festival Jesus was in Jerusalem for when he gave his famous "Good Shepherd discourse" in John 10. At that time the festival of the Dedication took place in Jerusalem. It was winter (John 10:22). According to the familiar story recounted in the Old Testament books of Maccabees, in the second century BC, Israel was ruled by the Seleucid king Antiochus IV, who tried to force the people of Israel to accept Hellenistic culture and abandon Jewish religious practices. A small band of faithful Jews, led by the priestly family of the Maccabees, defeated the Hellenizers and successfully rededicated the Temple in Jerusalem, which had been desecrated by the Gentiles. But, when they sought to light the Temple's menorah (candelabrum), they found only a once-day supply of olive oil that had escaped contamination by the Greeks. Miraculously, that one-day supply of oil lasted for eight days, until new oil could be prepared under conditions of ritual purity. So, at the heart of the festival is the nightly lighting of the menorah in order to commemorate and publicize this marvelous miracle. On the first night of Chanukah (last night), one candle is lit. By the eighth night, all eight lights are kindled. Since the Chanukah miracle involved oil, it is also customary to eat foods fried in oil. The Eastern-European classic is the familiar potato latke (pancake) garnished with applesauce or sour cream, while an Israeli favorite is the jelly-filled sufganya (doughnut). 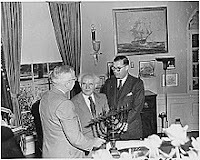 There was also a tradition of Chanukah gelt, small gifts of money, to children, which has helped popularize Chanukah as an alternative to Christmas - not just as a winter light festival but also as a great gift-giving occasion. With the reestablishment of an independent Jewish state in the land of the covenant in 1948 and the recovery of the Temple Mount in 1967, Chanukah has fittingly taken on added significance as a celebration of the renewed presence of God's People in the Holy Land.